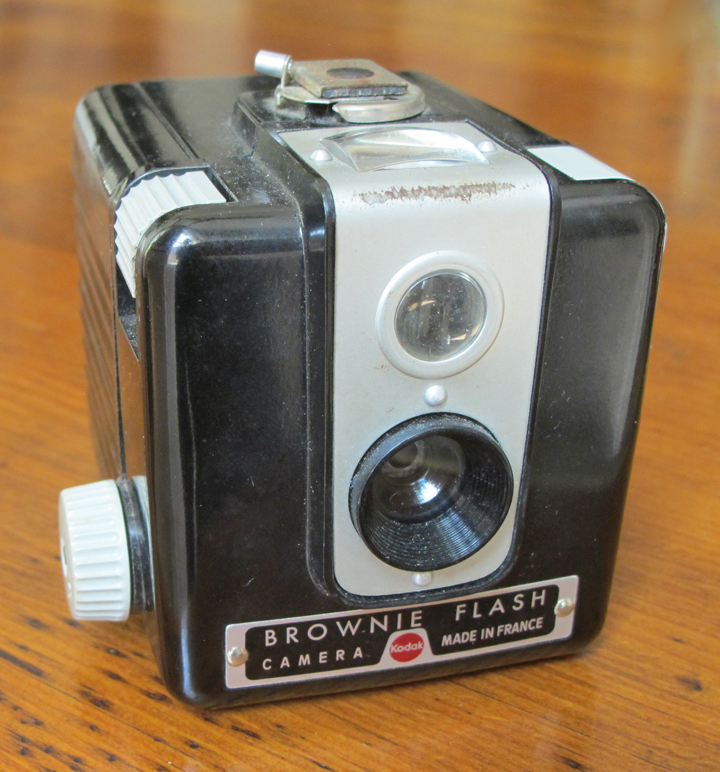 On my last trip to France I found my first camera in the basement of my parents house. 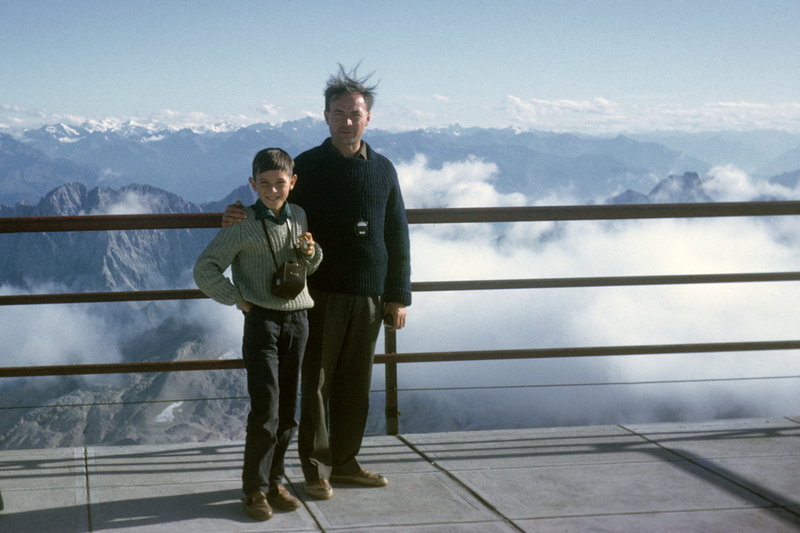 I am seen with it on the top of the Zugspitze mountain in Austria in the summer of 1963 with my father. We have very different hair styles as you can notice, thanks to the wind. 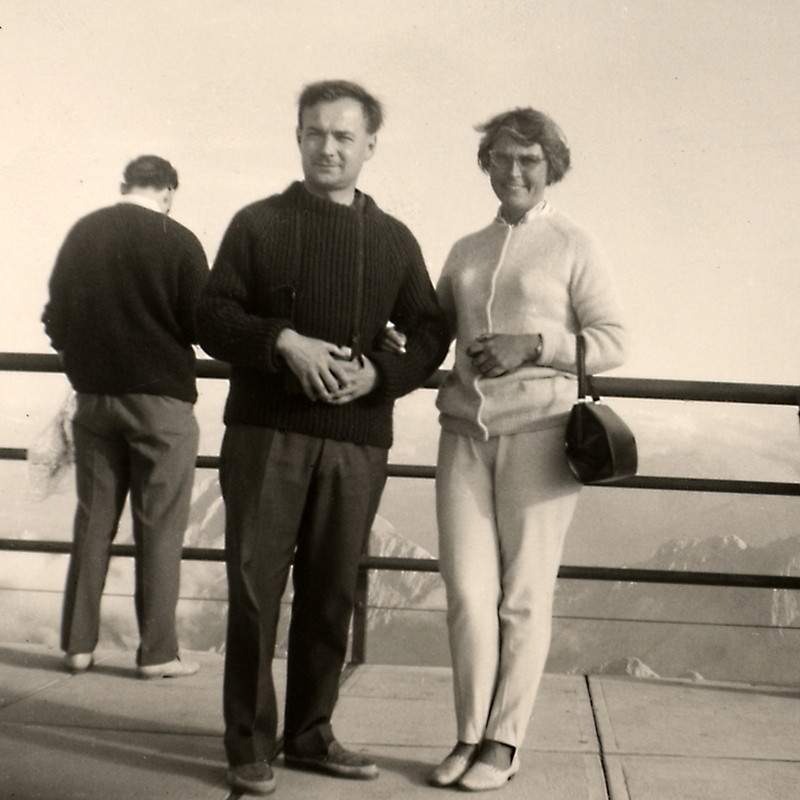 I also found a photograph I took of my parents on that same mountain, the wind must have stopped blowing.